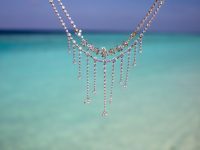 PER AQUUM Huvafen Fushi has launched Nappa Dori’s first international boutique in the Indian Ocean, elevating the two pioneering brands’ recent collaboration to the next level. 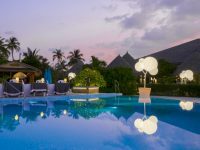 To celebrate the opening, the Indian luxury leather brand lifts the lid on an exclusive vintage capsule collection that brings a bygone era of glamorous travel back to one of the Maldives’ original luxury resorts. The new capsule collection of beautifully handcrafted, limited edition travel pieces, ‘Nappa Dori x PER AQUUM Huvafen Fushi’, is a tribute to the time when travellers discovered new frontiers in glamorous style. It includes a custom-made picnic tent and trunk, backpack, travel pouch and travel organiser. 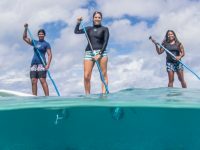 Each bespoke piece is covered in a custom designed printed canvas that exquisitely illustrates Indian Ocean life above and below the waterline. The ‘Nappa Dori x PER AQUUM Huvafen Fushi’ collection will also be available in the Indian-inspired artisan brand’s boutiques in Delhi and Mumbai, as well as at MAISON&OBJET Paris, Anthropologie and The Little Market in the US, The Conran Shop and Selfridges in the UK and the Duty Free Shops at Doha International Airport in Qatar. 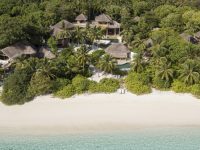 The opening of the boutique follows the recent collaboration between PER AQUUM Huvafen Fushi and Nappa Dori for PULSE, PER AQUUM Hotels and Resorts’ stream of avant-garde, immersive guest experiences. In August last year, Mr Gautam Sinha, Founder and Creative Director of Nappa Dori, and his artisans shared secrets passed down through five generations in a series of workshops designed exclusively for the resort’s guests that celebrated the artistic side of Indian Ocean culture. 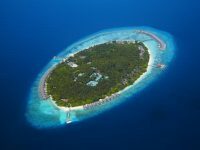 Meaning ‘Dream Island’ in the Maldivian tongue, PER AQUUM Huvafen Fushi is an exclusive luxury resort, located just a 35 minute speedboat ride away from the international airport near the capital, Male. Encircled by one of the best house reefs in the Maldives, this private island paradise is home to the world’s first and only underwater spa. 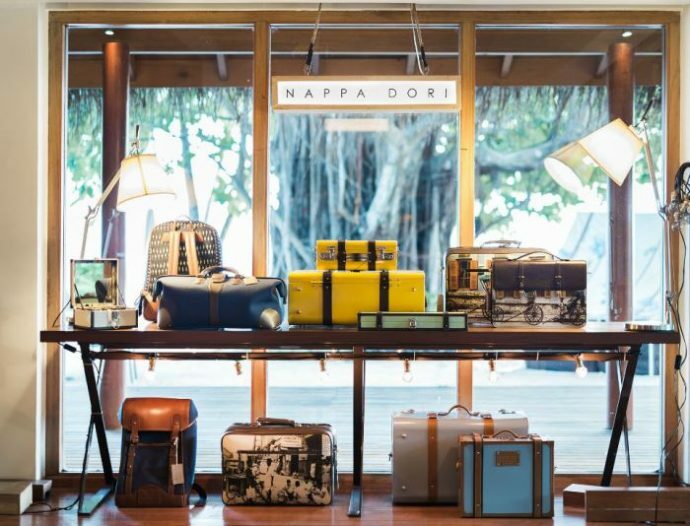 Nappa Dori, which translated literally means ‘leather and thread’, offers bespoke luggage and travel accessories that are a tribute to quintessential Indian sensibilities and blended perfectly with contemporary interpretations in design, material and craftsmanship to complement any journey.